The dental papilla is formed from the head mesenchyme, originating from the cranial neural crest upon appropriate signaling from the dental epithelium. 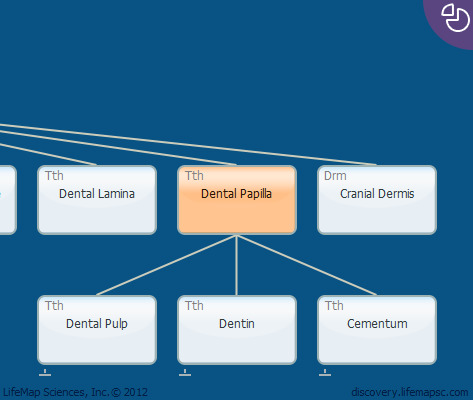 Dental papilla serves a central role in is epithelial-mesenchymal interactions responsible for tooth morphogenesis. The dental papilla gives rise to three components of the tooth: dentinm formed by odontoblasts, cementum, formed by cementoblasts, and dental pulp.